Apparently, it could be possible that a Star Wars: Battlefront pre-order release could be in the works, well according to a recent tweet by EA posted on their Twitter account. 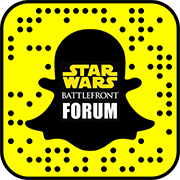 We are scheduled to hear more details about Battlefront next month during the annual Star Wars Celebration event taking place in California. Does that mean that pre-ordering will be open next month? I highly doubt it. However, it does mean they are seriously considering the idea as they found it important enough to tweet about. 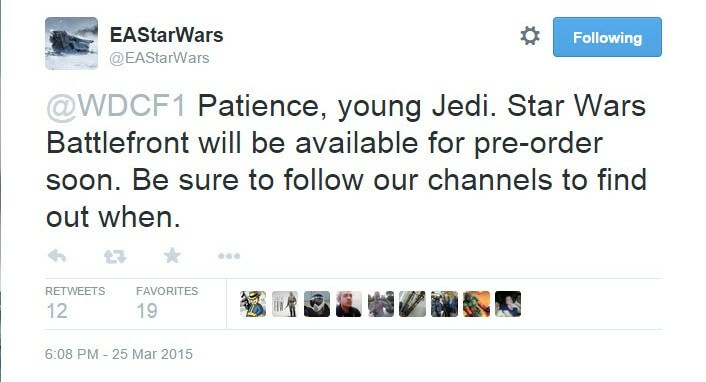 If pre-ordering the next Star Wars: Battlefront was far from their mind, then why would they even tweet it? Based on that, I think pre-ordering might be here sooner than we know it. The best part about pre-ordering are the bonus items you get, or the extras, for actually pre-ordering. If they are considering opening this up soon, then I cannot wait to see what added bonuses we get for jumping on early. Either way, we about a month away until they release more details during next months Star Wars Celebration. Until then, we can only hope they allow us to pre-order Battlefront so we can lock in some cool bonuses.